Living and learning curiously. Always reinventing. Telekinetic super powers in a dystopian world? Everyone wants you…but for good or evil? Pulse by Patrick Corman reminds me a lot of the new NBC drama Believe with a YA twist. Find love, for love in a broken world will comfort you. Hold on to hope; it will sustain you. Have faith, for in the end it will save you. This entry was posted in book trailer, reel reads, Uncategorized, YA and tagged book trailers, ya. This month’s display in the library is inspired by the Cheshire Cat and zany mix of characters in Lewis Carroll’s Alice in Wonderland . The weeks leading up to and following Spring Break often feel like madness. But, in the library, we’re mad about books, especially books with mind-bending adventures! Here are a few books featured this month where readers can expect a wacky, adrenaline packed, adventure with unexpected twists and turns. Many genres are represented in this month’s display as adventures. This entry was posted in book trailer, Printz, reel reads, Uncategorized, YA and tagged book trailers, ya. I can be such a girl. I gravitate to first-love-lost-tales like a moth to a flame. I’d like to think that I’ve advanced in the stages of a lifelong reader, but whenever one of these young adult novels like Gayle Forman’s Just One Day or Jenny Han’s The Summer I Turned Pretty surfaces on my radar, I’m right back at reading for autobiographical experiences and little 17-year-old me has her heart broken and repaired over and over again. What I love about Katie Cotugno’s How to Love is how the author grapples with the reality of first loves. Recently, I came across a video on Pinterest where Laurie Halse Anderson is talking about her newest novel, The Impossible Knife of Memory. She discusses her approach of writing an adolescent love story, as not necessarily one of romantic love, but familial love and seperation, finding an adopted family in a group of friends, and then finally that first romance. How to Love captures the dynamic interrelationship between all of these spheres: family, friends, and romance. This entry was posted in book trailer, reel reads, YA. Throughout the month of January, I’ll be sharing book trailers highlighting the fantastic line-up of authors that will be at this year’s YAK Fest (Young Adult Keller Book Festival) on January 25th at Keller Central High School in Keller, TX. This will be our third YAK Fest thanks to a generous donation from the Hudson Foundation, which allows us to bring together YA authors and readers for free to attendees! Visit our Facebook page or website for more info on the event and follow us on Twitter @YAK_Fest #yak14! I’m thrilled to meet every author coming to YAK, but when I saw that Andrew Smith was in the line-up I literally squealed and ran to see which of his books were on the shelf so I could find readers for them asap! Andrew Smith’s Marbury Lens and its sequel Passenger are quite the hot commodity thanks in part to an adrenaline-packed, thrilling book trailer. Make sure you order extra copies for your classroom or library–they’ll be needed after you share this trailer! 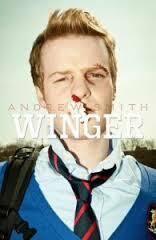 This year, Smith has received a lot of acclaim for Winger from reviewers, librarians, and YA fanatics. Come meet Andrew Smith on January 25th at YAK Fest ’14! 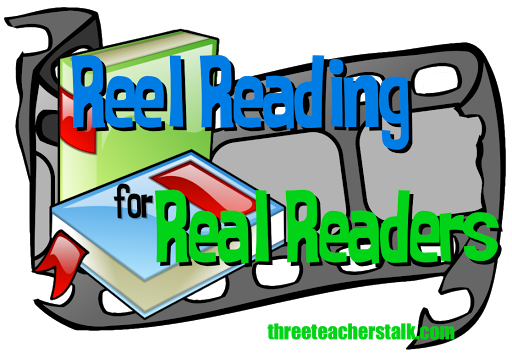 This entry was posted in book trailer, reel reads, Uncategorized, YA and tagged andrew smith, book trailer, ya. Tomorrow I am hosting a hot chocolate and story time event in the library for classes. I thought I’d use this opportunity to re-cap some of the hottest YA books from 2013 with readers, hoping to put just a few more books in their hands during Winter Break. This playlist contains 34 book trailers for YA books released in 2013. I chose not to include sequels and installments in series, but instead, I’ll be making a special playlist for new installments from 2013. What were your favorites from 2013? This entry was posted in book trailer, reel reads, YA and tagged book trailers, ya. Thanks to ice-mageddon 2013, I was able to catch up on a sackful of books that I’ve been eager to read. One book in particular captured my rapt attention for an entire evening, enchanting me with a love story I only thought I knew. Tiger Lily by Jodi Lynn Anderson is a gentle, yet fierce retelling of Peter Pan. Narrated by none other thank Tinker Bell herself, the story takes us into the wildest and most compassionate places of Tiger Lily’s heart. This entry was posted in book trailer, fantasy, reel reads, Uncategorized, YA and tagged book trailer, Jodi Lynn Anderson, Peter Pan, reel reads, Tiger Lily, Tinker Bell, ya. Imagine what would happen if the TV series “The Bachelor” got a dystopian make-over. You’d get Kiera Cass’s The Selection. I am admittedly drawn to book covers with pretty dresses. Among some of my favorites are The Luxe, Matched, and Wither. I’m a sucker for ball gowns, which is why I first grabbed Cass’s series. After I read the summary, however, I was hesitant. You see, I despise “The Bachelor” for its depiction of self-serving, ruthless, catty, women and misogynistic GQ-wanna-be boys. But, I started reading anyways after several of my regulars demanded that I read nothing else until I had tried The Selection. Your girls who are already fans of the dystopian will devour this series. It’s complete with the warring classes, love triangle, plot twists, and budding-heroine. I also have had great success with my “non-reader” girls. The science fiction aspect is understated, appearing really only in the fact that the series takes place in the future after World War IV. The Elite, which is out now, continues the trilogy with The One set to be released May 6th. This entry was posted in book trailer, Dystopian, reel reads, YA and tagged Kiera Cass, The Selection.